Turkish President Recep Tayyip Erdogan has asked for the first time directly to the restoration of the death penalty in the country. 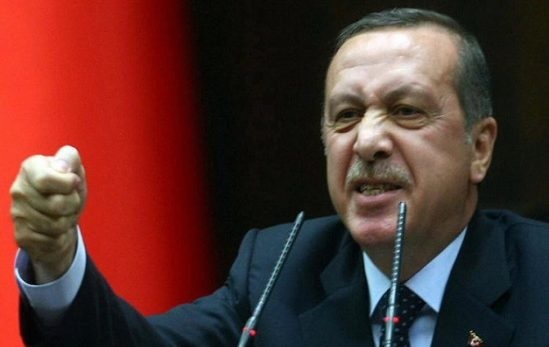 During a rally in the West of the country, Erdogan said parliament would approve the reinstatement of the death penalty after the referendum of April 16th. This movement will very likely give an end to Ankara's efforts to join the European family. Turkey abolished the death penalty in 2004, as part of its efforts to join the European Union. Turkish President Recep Tayyip Erdogan expects parliament to approve the reinstatement of the death penalty after a referendum on April 16, which will increase his competency. "Families of the martyrs and heroes of the failed coup of 15 July do not need to worry. I believe that with the God willing, after the 16 April vote, parliament will do what is necessary with regard to your requirements for the death penalty." But the law requires the signature of the Head of State, exept Parliament and Erdogan will not be an obstacles. "When it comes to me, I would adopt it without hesitation," he said to of the crowd. EU officials have repeatedly warned Turkey that the restoration of the death penalty would mark the end of the half-century efforts to join the bloc. But Turkish ministers and Erdogan argue that this measure is necessary for the punishment of all those who took part in the coup of July last year. Turkey and Europe are currently at the highest point of the crisis caused after the Netherlands and Germany rejected Turkish rally in their countries.